During this afternoon's Gaulitana event for the press at the Valletta 2018 Gozo regional office. Highlighting some of the festival’s key events, Artistic Director Colin Attard spoke about the OPERA+ Weekend, the three-day cultural bonanza present around “Gozo’s April opera”. This year, Bellini’s Norma shall resonate more with local opera buffs as apart from a stellar cast, the sets are inspired from the Ġgantija Temples. Developing on this link, Gaulitana will also present a number of events at Ggantija Temples, in collaboration with Heritage Malta. Besides, other events include evening recitals, talks, lunchtime concerts at Cittadella and MusicAlive, a new series aimed at presenting live music to a wider audience. Attard delved also into the GAULearn educational programme, which will also include an adaptation of Norma for schools. The festival will also commemorate Leonard Bernstein’s birth centenary whilst exploring collaborations with various art forms – including installation art, literature, dance and photography. 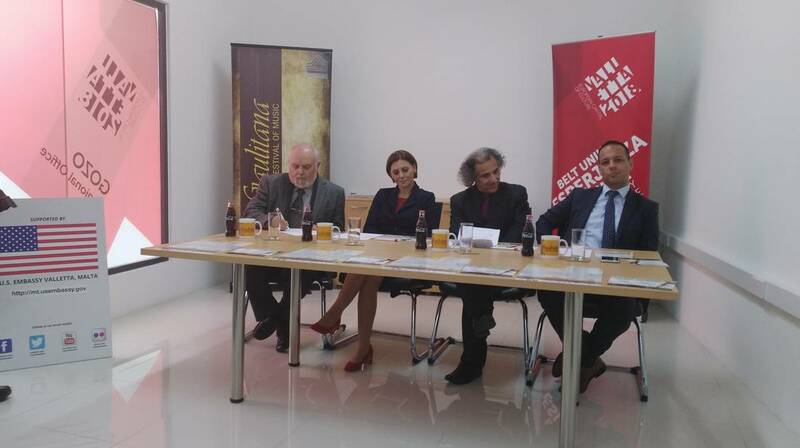 Jason Micallef, Chairman of Valletta 2018 Foundation remarked on the relevance of Gaulitana, part of the Valletta 2018 Cultural Programme as the festival and other similar initiatives “ensure high-quality events for diverse audiences”. Valletta 2018 Programme extends further than the capital city, he added, with projects reaching out around the Maltese Islands, including Gozo. Gaulitana will launch on 25 March with the opening of Costanzo Rovati: Percorso di Vita at the Sentinella, in Ċittadella. The art exhibition will be opened at 11.30hrs by Minister Justyne Carauna and blessed by Bishop Mario Grech.